-smiles and walks up to her-"hey yeah"
she smiled "hey, I'm Temari, i'm apparently meant to stay here as a Gryffindor,"
"I'm Deidara n awesome"looks at her"your hawt!" 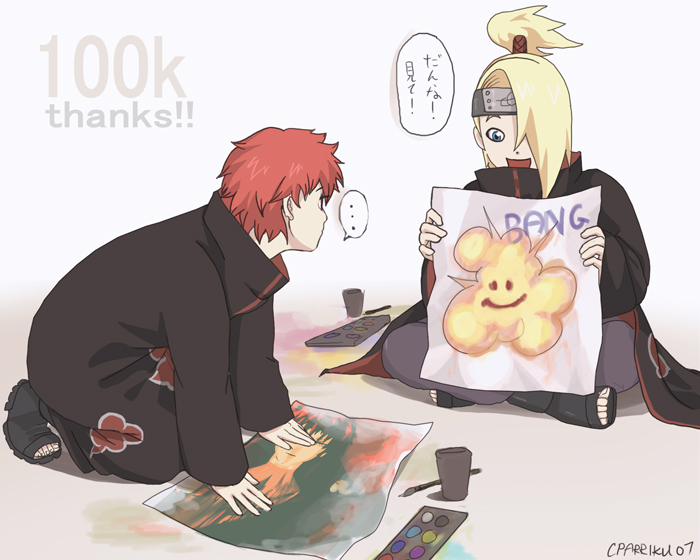 she blushed "t-thank you, deidara.."
smiles and keeps hold of her"wheres your dorm?" she giggled "sure, thanks a lot, dei. You dont mind if i call you dei, do you?" keeps hold of her"lemme know when you want me to let go yeah?" "You want it on tha lips instead?" stops and looks at her"You actually...kissed back yeah?"